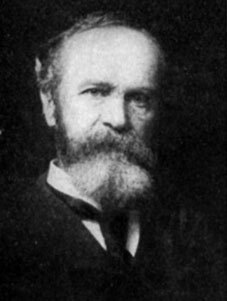 William James, America's first psychologist of international repute and a famed philosopher as well, was also the first to draw America's attention to the work of Sigmund Freud. In 1894 he summarized a paper Freud and Breuer had published in Europe for the premiere issue of The Psychological Review. James was also the first psychologist to attempt a systematic study of the psychology of religion. His major opus on the subject, The Varieties of Religious Experience, was published in 1902. His views on spiritual matters differ considerably from Freud's. The following essay, condensed from a talk he gave to the Philosophical Clubs of Yale and Brown Universities in 1896, is a surprisingly modern exploration of the merits — and limits — of scientific rationalism. In Pascal's Thoughts, there is a celebrated passage known in literature as Pascal's wager. In it, [Pascal] tries to force us into Christianity by reasoning as if our concern with truth resembled our concern with the stakes in a game of chance. Translated freely his words are these: You must either believe or not believe that God is — which will you do?... Weigh what your gains and your losses would be if you should stake all you have ... on God's existence: if you win in such case, you gain eternal beatitude; if you lose, you lose nothing at all. If there were an infinity of chances, and only one for God in this wager, still you ought to stake your all on God; for though you surely risk a finite loss by this procedure, any finite loss is reasonable, even a certain one is reasonable, if there is but the possibility of infinite gain. Go, then, and take holy water, and have masses said; belief will come and stupefy your scruples — Why should you not? At bottom, what have you to lose? ... Evidently, then, our non-intellectual nature does influence our convictions. ... Pascal's argument, instead of being powerless, then seems a regular clincher, and is the last stroke needed to make our faith in masses and holy water complete. The state of things is evidently far from simple; and pure insight and logic, whatever they might do ideally, are not the only things that really do produce our creeds. ... The question next arises: ... Can we (as men who may be interested at least as much in positively gaining truth as in merely escaping dupery) always wait with impunity till the coercive evidence shall have arrived? It seems a priori improbable that the truth should be so nicely adjusted to our needs and powers as that. In the great boarding-house of nature, the cakes and the butter and the syrup seldom come out so even and leave the plates so clean. Indeed, we should view them with scientific suspicion if they did. Moral questions immediately present themselves as questions whose solution cannot wait for sensible proof. A moral question is a question not of what sensibly exists, but of what is good, or would be good if it did exist. Science can tell us what exists; but to compare the worths, both of what exists and of what does not exist, we must consult not science, but what Pascal calls our heart. Science herself consults her heart when she lays it down that the infinite ascertainment of fact and correction of false belief are the supreme goods for man. Challenge the statement, and science can only repeat it oracularly, or else prove it by showing that such ascertainment and correction bring man all sorts of other goods which man's heart in turn declares. The question of having moral beliefs at all or not having them is decided by our will. Are our moral preferences true or false, or are they only odd biological phenomena, making things good or bad for us, but in themselves indifferent? How can your pure intellect decide? If your heart does not want a world of moral reality, your head will assuredly never make you believe in one. ... Moral skepticism can no more be refuted or proved by logic than intellectual skepticism can. When we stick to it that there is truth (be it of either kind), we do so with our whole nature, and resolve to stand or fall by the results. The skeptic with his whole nature adopts the doubting attitude; but which of us is the wiser, Omniscience only knows. Turn now from these wide questions of good to a certain class of questions of fact — questions concerning personal relations ... Do you like me or not? ... for example. Whether you do or not depends, in countless instances, on whether I meet you half-way, am willing to assume that you must like me, and show you trust and expectation. The previous faith on my part in your liking's existence is in such cases what makes your liking come. But if I stand aloof, and refuse to budge an inch until I have objective evidence ... ten to one your liking never comes ... The desire for a certain kind of truth here brings about that special truth's existence; and so it is in innumerable cases of other sorts. Who gains promotions, boons, appointments, but the man who ... sacrifices other things for their sake before they have come, and takes risks for them in advance? His faith acts on the powers above him as a claim, and creates its own verification. A social organism of any sort, large or small, is what it is because each member proceeds to his own duty with a trust that the other members will simultaneously do theirs. ... A government, an army, a commercial system, a ship, a college, an athletic team, all exist on this condition, without which not only is nothing achieved, but nothing is even attempted. A whole train of passengers (individually brave enough) will be looted by a few highwaymen, simply because the latter can count on one another, while each passenger fears that if he makes a movement of resistance, he will be shot before any one else backs him up. If we believed that the whole car-full would rise at once with us, we should each severally rise, and train-robbing would never even be attempted. There are, then, cases where a fact cannot come at all unless a preliminary faith exists in its coming. And where faith in a fact can help create the fact, that would be an insane logic which should say that faith running ahead of scientific evidence is the 'lowest kind of immorality' into which a thinking being can fall. Yet such is the logic by which our scientific absolutists pretend to regulate our lives! First, she says that the best things are the more eternal things, the overlapping things, the things in the universe that throw the last stone, so to speak, and say the final word ... The second affirmation of religion is that we are better off even now if we believe her first affirmation to be true. ... Now, to most of us religion comes in a still further way that makes a veto on our active faith even more illogical. The more perfect and more eternal aspect of the universe is represented in our religions as having personal form. The universe is no longer a mere It to us, but a Thou, if we are religious; and any relation that may be possible from person to person might be possible here. ... We feel, too, as if the appeal of religion to us were made to our own active good-will, as if evidence might be forever withheld from us unless we met the hypothesis half-way. To take a trivial illustration: just as a man who in a company of gentlemen made no advances, asked a warrant for every concession, and believed no one's word without proof, would cut himself off by such churlishness from all the social rewards that a more trusting spirit would earn, — so here, one who should shut himself up in snarling logicality and try to make the gods extort his recognition willy-nilly, or not get it at all, might cut himself off forever from his only opportunity of making the gods' acquaintance. This feeling, forced on us we know not whence, that by obstinately believing that there are gods (although not to do so would be so easy both for our logic and our life) we are doing the universe the deepest service we can, seems part of the living essence of the religious hypothesis. If the hypothesis were true in all its parts, including this one, then pure intellectualism, with its veto on our making willing advances, would be an absurdity; and some participation of our sympathetic nature would be logically required. I, therefore, for one, cannot see my way to accepting the agnostic rules for truth-seeking, or willfully agree to keep my willing nature out of the game. I cannot do so for this plain reason, that a rule of thinking which would absolutely prevent me from acknowledging certain kinds of truth if those kinds of truth were really there, would be an irrational rule. That for me is the long and short of the formal logic of the situation, no matter what the kinds of truth might materially be. ... Let me end by a quotation from [Fitz-James Stephen]. "What do you think of yourself? What do you think of the world? ... These are questions with which all must deal as it seems good to them. They are riddles of the Sphinx, and in some way or other we must deal with them. ... In all important transactions of life we have to take a leap in the dark. ... If we decide to leave the riddles unanswered, that is a choice; if we waver in our answer, that, too, is a choice: but whatever choice we make, we make it at our peril. If a man chooses to turn his back altogether on God and the future, no one can prevent him; no one can show beyond reasonable doubt that he is mistaken. If a man thinks otherwise and acts as he thinks, I do not see that any one can prove that he is mistaken. Each must act as he thinks best; and if he is wrong, so much the worse for him. We stand on a mountain pass in the midst of whirling snow and blinding mist, through which we get glimpses now and then of paths which may be deceptive. If we stand still we shall be frozen to death. If we take the wrong road we shall be dashed to pieces. We do not certainly know whether there is any right one. What must we do? 'Be strong and of a good courage.' Act for the best, hope for the best, and take what comes. ... If death ends all, we cannot meet death better." Picture of William James copyright © 2004 www.arttoday.com.